Big corporations have squads of salespeople and massive marketing budgets. You can see this by the number of couches and masseuses they have at any conference you go to. That massive sales force does not mean they communicate well. Size necessitates that the various parts of the organization be split into more manageable chunks. Sometimes, not even in the same building or even state or country. This ’distance’ makes communicating with each other slower and more difficult. It sometimes creates a disconnect between what the sales team is promising and what the operations team can actually deliver. The phrase “the left arm doesn’t know what the right is doing” is an appropriate metaphor here. When everyone in a company is on the same page, the products and services offered are better for it. There is less wasted energy and a quicker response to customer requests. As mentioned above, a larger corporation cannot move that quickly. The sales team is typically not in direct communication with support or development. Because of this disconnect, the product offered by a big corporation is typically either less robust or less innovative, or both. And, innovation costs. Think of software a large company provides… How often do you get new releases? How often do you feel like your ideas and needs go unmet in those new releases? How often do you see improvements or new ideas being offered up to you for consideration? How often are they calling you up to discuss new ideas or your thoughts on where their product should go? Large companies have too many people for all of that to trickle down to development in a timely way. The changes they make are typically gradual and small with major changes happening very infrequently. Call a large corporation up and ask to speak to the President or the owner(s) about your problem or idea. Chances are, you will not get to speak to them. Big corporations have complaint lines and call centers (often outsourced and overseas), with no direct access to the powers that be and not a lot of personal accountability. If something goes wrong, the corporation is blamed. Not the person or people responsible. As a result, the solutions they offer can lack accountability because big decisions cannot be made at the support level. They do not have the authority to make a move and are not accountable for the whole company. Conversely, the owners are not in the “trenches” with the support staff and so the people who are ultimately accountable are not there. There is a disconnect. The owner does not directly hear the customer’s issues. It usually has to go through all the levels of management and by that time, it is too late to be proactive or immediate with a response or solution. 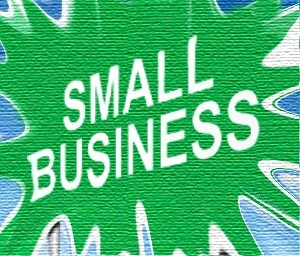 I have worked for both small businesses and large corporations. I have done business with small businesses and large corporations. I have found that the larger the business, the more impersonal my relationships are. Its hard to know how much a big corporation cares about you when you are speaking to a call center or that the only time you hear from them is when an invoice is due. To them, you are but one customer. To a small business that one customer may be the difference between success and failure so they will do whatever it takes to keep your business, to keep that relationship on solid ground. Which would you prefer to deal with?